Peahi Challenge is happening live on WSL. Well if you're not a fan of the contest you should be a fan of this vid of Peahi in Dec of 2015. 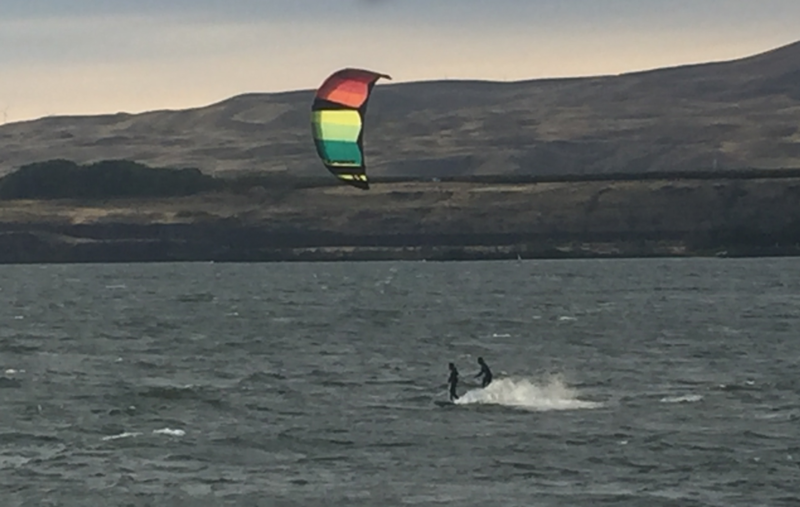 Multi sports (tow-in surfer, kiting, windsurfers, and SUP riders on big swell and strong winds. My favorite is min 3:17 to 3:30 watching the kiter (son) towing-in the tow-in surfer (father). Father letting go, riding the wave (side-by-side riding on the same wave face) and then the son picking the father back up again for a tow back out to catch another wave. Had the good fortune to stand on the cliff during a BIG swell about 20 years ago and see some brave souls get some of the most insane barrels. Pumped to see Kai Lenny pushing it today - even more so after bumping into him out at Arlington this summer.